Now that the weather is warmer, you can start spending more time outside and even hitting the beach. It's a good thing Costco has the Santa Cruz Beach Boardwalk 2018 Combo Pack, so that you can and a friend can enjoy the beach, arcade games, and even riding the iconic Giant Dipper roller coaster. You'll be able to save money with this combo pack. This definitely adds up if you have a family of 4. So go out there and have fun and enjoy a day at the beach. Unlimited rides all day long. 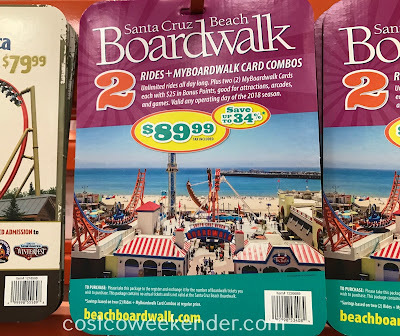 Plus two (2) MyBoardwalk Cards each with $25 in Bonus Points, good for attractions, arcades, and games. Valide any operating day of the 2018 season. 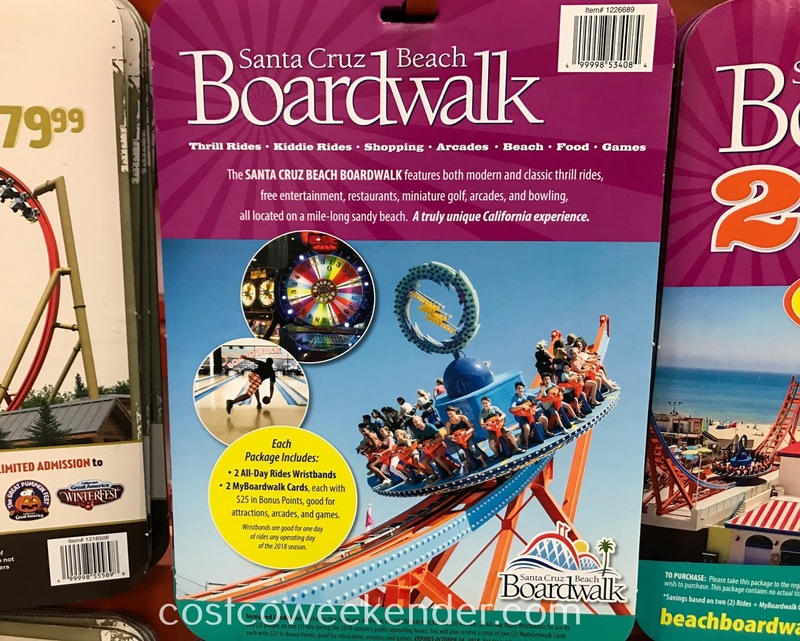 The Santa Cruz Beach Boardwalk features both modern and classic thrill rides, free entertainment, restaurants, miniature golf, arcades, and bowling, all located on a mile-long sandy beach. 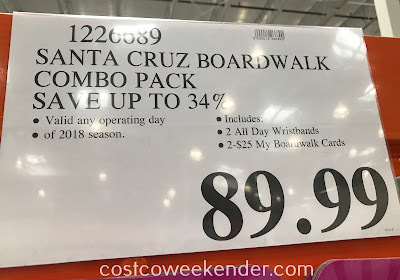 A truly unique California experience.